The term ‘root canal’ ranks high on the list of the scariest phrases in dental terminology. It’s a procedure that has earned (perhaps unfairly) a terribly negative reputation, but it has remained a necessary and important part of modern dentistry. It’s a great option for avoiding the loss of an unhealthy tooth, and it’s not as painful as your friends and neighbors have made it seem. Delano Mn dentists say the best way to survive a root canal treatment is to know what to expect afterwards. The cheeks, gums, and face near the treatment area may swell slightly in response to the previously infected tooth. This swelling could linger for a short while after the infection is eliminated. An ice pack can help to reduce the puffiness as the healing process ensues. If the root canal treatment was necessary due to a chronic dental infection, the dentist may prescribe a round of antibiotics and/or some pain medications. In most cases, you can control any discomfort with the same medications that you would normally take for a headache. The tooth and the surrounding area will be numbed with local anesthetics for your comfort. To prevent bruising, you should avoid touching or disturbing the area until the feeling has returned to your face, lips, tongue, and gums. You should also avoid or limit chewing to prevent an accidental cheek, lip, or tongue bite. Temporary filling. The dentist may seal the treatment area with a temporary filling material which should remain in place for several days or weeks. You may be advised to avoid chewing on this filling to avoid dislodging it. The filling is designed to prevent moisture and bacteria from entering the sterile area within the tooth, as this could result in the need for repeating the root canal procedure. A permanent crown or veneer. When the dental nerve has been removed, a tooth can become weak and brittle on the outside. The dentist will recommend the full-coverage protection of a dental crown or veneer for long-term stability. 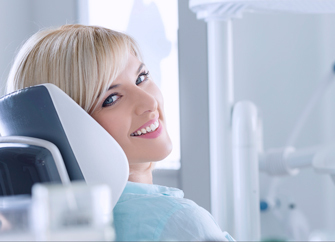 Choosing to have a root canal treatment is a healthy choice for the longevity of your smile. For more information on what to expect after the procedure, contact a dentist in Delano MN today.